Each of our Jewish holidays is characterized by something different based on location. We are accustomed to the differences between the observances of the Jews in Israel who keeps one day of the major holidays and their brethren in the Diaspora keeping two days. We also note the differences between the dates that the prayer for rain begins based on the locale of the person. Purim also has its time/date change. People who live in a city that was surrounded by a wall since the time of Joshua, the son of Non, observe Purim on the fifteenth of Adar. Those hardy souls living in cities that during the time of Joshua were not surrounded by a wall celebrate the Purim observances on the fourteenth of Adar. The rationale for this difference is because the Jews during the time of the Purim story had to defend themselves against their enemies. Outside of the capital city, Shushan, the Jews were able to subdue their foes and they rested on the fourteenth of Adar. However the Jews in Shushan had more enemies to contend with and so it took them an extra day to eradicate their enemies, therefore they rested from the battle on the fifteenth. The rabbis declared that since Shushan was a walled city, those who live in walled cities should celebrate Purim on the fifteenth of Adar. Those Jews residing in an open city should observe the Purim festivities on the fourteenth. However, at the time that the Purim miracle happened, Jerusalem was destroyed and the Jews lived in the Diaspora. The rabbis decreed that in order to give special consideration to Jerusalem, the observance of Purim in a walled city would include any walled city that was in existence since the time of Joshua. Therefore we see that even in Israel there is a difference in the date of the observance. 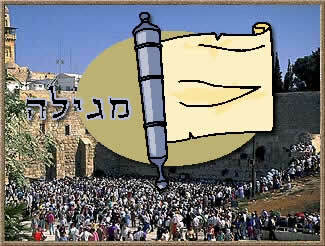 A person who lives in a walled city, such as Jerusalem, observes Purim on the fifteenth. It is also referred to as Shushan Purim, recalling the name of the original walled city. Inhabitants of cities in Israel that were not walled during the time of Joshua, such as Tel Aviv, observe Purim on the fourteenth. This always brings up the problem: what happens if a person from a walled city, i.e. Jerusalem, happens to be in a non-walled city like Tel Aviv on the fourteenth? Conversely, the question is asked what if the Jew from Tel Aviv happens to be in Jerusalem on the fifteenth? When do these persons observe Purim? Whereas there is a parallel question of what happens when an Israeli goes abroad before the major festivals, how many days should he observe, one or two? Conversely, if a tourist comes from abroad to visit Israel for a major holiday, how many days does he observe, one or two? The criteria by the major festivals are not the same as by the observance of Purim. By the major festivals, the number of days observed is determined by the intentions of the person, the location of his home and his family. The criteria for Purim observance is a bit simpler. What is important are his intentions and his location on the morning of the fourteenth. If a Jew travels from Jerusalem to Tel Aviv and on the evening of the fourteenth when the Megilah is to be read and has intentions to reach Jerusalem that evening, he does not have an obligation to hear the Megilah, since he will be in Jerusalem on his day, the fifteenth. Even if his travel plans go astray and he is not able to make it to Jerusalem before the morning of the fourteenth, since he planned to be there, he is considered a Jerusalemite. Even if he were stuck in Tel Aviv on the fifteenth, he would celebrate his Purim then. Conversely if a Jew from Tel Aviv finds himself in Jerusalem on the evening of the fourteenth, if he has in mind that he will be in Tel Aviv before the morning, then he is obligated to hear the Megilah reading on that night. Even if his plans to be in Tel Aviv go astray and he ends up in Jerusalem the entire fourteenth, he still continues his observance. However, if on the fourteenth he fully intends to stay over in Jerusalem for Purim, then he is considered as a Jerusalemite. Even if he must leave Jerusalem on the day of the fourteenth and return to Tel Aviv, he observes his Purim there on the fifteenth. However, someone who is not in a city, but in a non inhabited place, like a forest or a desert or a space ship, should observe Purim on the fourteenth, like the majority of the world. Well remember one of the commandments of Purim is to drink wine. We recommend that you have a large glass of a good wine and re-read this article from the beginning. Certainly, any problems that you may have in understanding it will disappear.